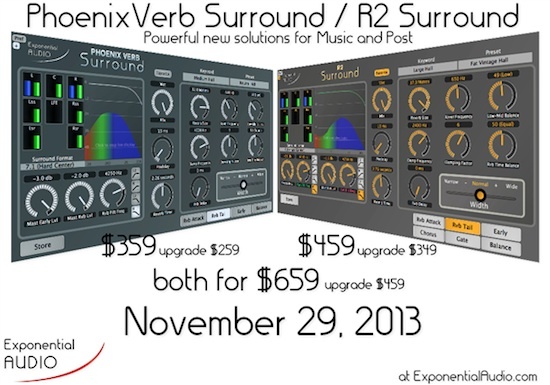 On Friday November 29, 2013, Exponential Audio’s new surround reverbs will be available for purchase in the Exponential Audio webstore. These powerful and flexible new plugins are already at work in a number of major facilities and it’s time to turn them loose. You can learn more about them right here, and you’ll be able to download and demo them for yourself as soon as they’re available.